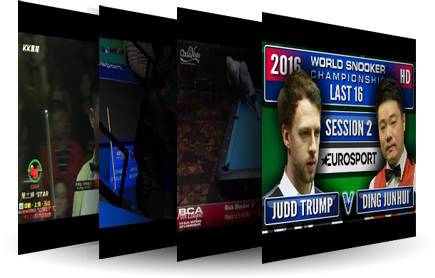 ChalkySticks TV is broadcasting all sorts of billiards matches 24/7. 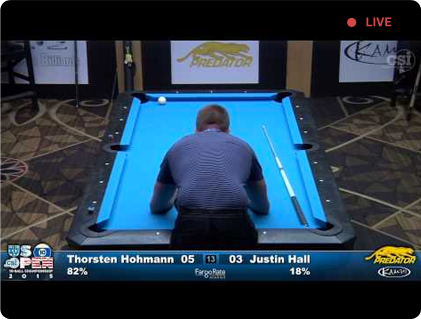 When you get the urge to watch some pool, just tune in. There’s no more need to hunt for a particular match. Turn on ChalkySticks TV, sit back, and enjoy. These videos are primarily filmed and produced by 3rd party companies. Credit to the people doing the hard work: Snooker Planet, The Billiard Brothers, Genipool14, POV Pool, CSI, InsidePOOLmag, Bilijar9. The worst part of watching a re-run sporting event is knowing who won ahead of time. Noticing there are only 5 minutes left in a lopsided match really kills the vibe. Everyone wants to see a hill-hill match. We hide the scrubber so you don’t know when the end is, keeping the suspense alive. The broadcast is always running which means everyone will be watching the same thing regardless of your timezone. If you’re not interested in the current match, have a look at the schedule and return later. We have individual channels for each type of cue sport and let you see what is coming later. We're not quite ready to launch this yet... but soon we will be broadcasting 3rd-party live events as they happen. We won’t be able to do paid events for a little while, but stay tuned for free live events. If you have an embeddable Ustream / YouTube event, send it to us and tell us when it will be airing.